People are the heart of technology: you need human warmth to keep it cool! Priatherm is a dynamic and innovative company specialized in design and production of air and liquid heat sinks. We focus on a process requiring high know-how called brazing. 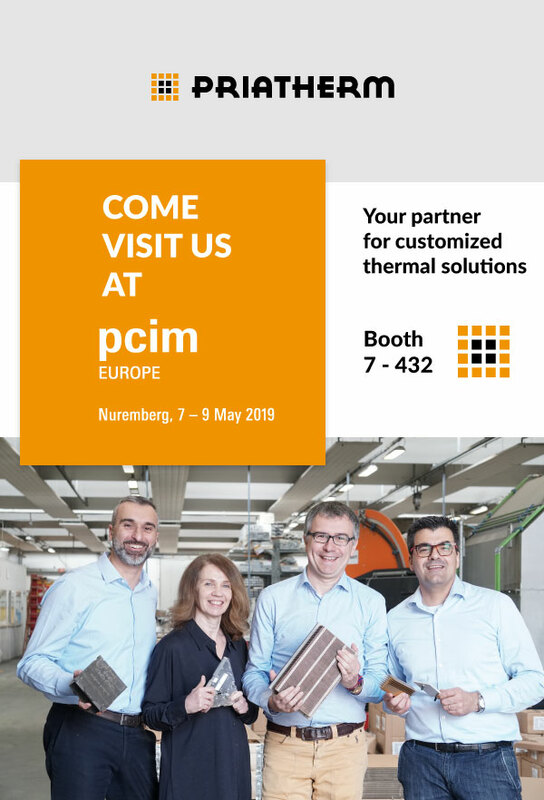 This technology permits the joining together of two aluminum parts or an aluminum part and a stainless steel piece, resulting in finished objects that perform extremely well both mechanically and thermally.Our technicians and sales managers are looking forward to receive your visit at PCIM exposition in Nuremberg. See you there!